This post was sponsored by Medifast. All thoughts and opinions are my own. Post may contain affiliate links. As the new year approaches, many people will start thinking about being healthier and planning for the diet they are going to begin come January 1. But how do you know if a diet will be right for you or not? Most people decide on a diet plan by picking whatever diet is on trend at that moment. However, doing whatever is trendy is usually not the best way to go about doing something that’s right for your life. I’m about two months into the MediFast Flex Plan, I’ve really started to understand how picking a diet that is right for your life is truly a vital piece of the puzzle when trying to lose weight and live healthier. 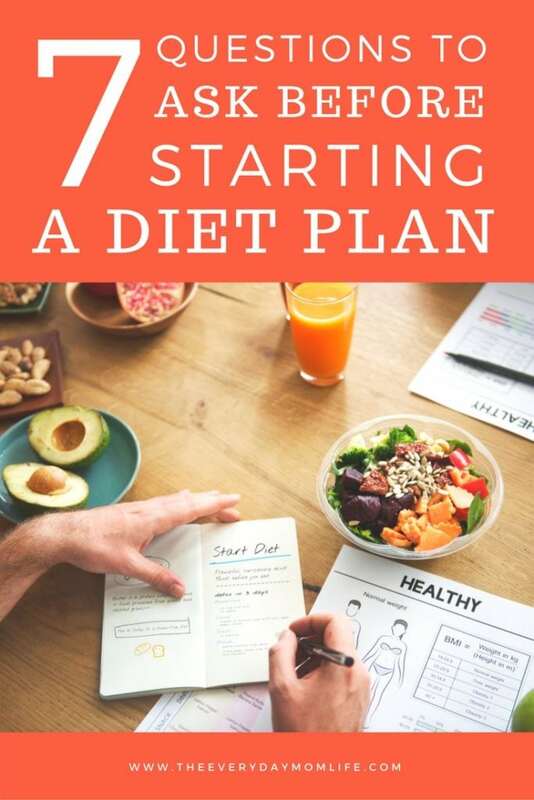 When looking at your diet options I believe there are seven questions you should ask yourself when trying to decide if a diet plan is right for you. Do I believe in this plan? To start, you need to not only trust that the plan will work, but also believe that it fits with your ideologies about food and health. For me this often means including fresh foods whether it be vegetables, fruits, meats coming from the healthiest animals (that have been treated well), lots of water and whole grains. If a plan doesn’t include ideologies you believe it, you should eliminate it right off the bat. You can’t fully commit yourself to a plan that revolves around health and wellness ideas you don’t support. Does it include foods I like? This is imperative to know when starting any diet plan. You need to understand what foods are allowed and what foods are not allowed. Then decide if you can live with those options. Is the plan strict with food similar to MediFast Go where you really only eat their pre-prepared food? Do you have some wiggle room similar to MediFast Flex, which allows you to prepare two Lean & Green meals per day that include healthy proteins and, like the name says, a healthy portion of greens? Are shakes a part of this plan? If so do you have to have one every day and what’s the preparation like for that? Do you like protein powder and is that an essential part of the diet? All these things need to be understood before you start a diet to be successful. If there are foods you don’t like or foods that you wouldn’t normally eat/prepare you will be reducing your chance of success right from the start. Does this match my lifestyle? Do you live an on-the-go lifestyle? Are you home to prepare meals? Are you going from one kid event to another? If you’re always on the move you need a diet plan that will help support your lifestyle. If you love to cook is this a diet that will still allow you to do that and be successful? If you don’t love to cook is this a diet that will require you to make food? Knowing the answers to these questions will help you determine if the diet is right for your current lifestyle or if you would have to make changes to support the plan. Some changes people are able to make, but some changes, like kids’ sports schedules, work schedules and other life events, are often unchangeable. You need to understand if you will be able to work around those things to stick to your diet plan or if you will need to alter your day to help support your diet choice. Is exercise a large part of this plan? I enjoy exercising so for me it’s an important part of my life. I was a little surprised when the MediFast representatives told me that it isn’t recommended to do any sort of heavy exercise the first few weeks of the plan. However, I work out often and it’s important to my mental health so we decided I should go on MediFast Flex and that after working out I should have a piece of bread or fruit. Most diet plans will tell you to supplement with exercise, which is what I like to do. However, if exercise is a large part of the diet plan – like requiring you to fit in a certain amount of exercise each day – you need to decide if this is something you can realistically commit to. You need to plan out the time to do whatever your chosen exercise is and make a promise to yourself to make this happen. How quickly will the weight come off? This is a big question when considering any diet plan. Most people want a magic fix but it usually doesn’t work that way. Most sustainable diets take about two weeks to start seeing results so you have to commit to it for at least that long before you start seeing small changes. Usually the first month of the diet is a better time frame for evaluating how the plan is working for your personal weight loss. Does this help combat my bad habits? Does this help me make better food choices? Will this help me stop overeating? Will this help me if I’m an emotional eater? 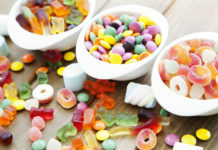 Does this help cut down on sugar and unhealthy fats? If a diet doesn’t help you to with these sources of weight gain it’s more than likely that it won’t work over a longer period of time. Is this really sustainable for me? Lastly, you need to have a really honest conversation with yourself based on the above questions and decide if this diet is really sustainable for you. Whether you’re going to try a plan for a month or two, or make an entire lifestyle change, knowing the answers to the above questions will help you determine if this is something you can stick with – short-term or long-term. If you don’t believe you can sustain the plan right from the start, then the plan probably isn’t right for you and you too look at other options. With dieting I’ve found that half the battle for me is mental and knowing the answers to these questions helps to mentally prepare for the changes ahead. If you can wrap your brain around it and make an honest commitment to trying, then you’ve already done half the work. To find out more about MediFast and the MediFast Flex plan I’m on, click here. does this combat my bad habits? This one I struggle most with and makes it harder. These are great questions to ask ones self before starting a diet. Too often do we here of people just jumping on the next fad diet and expecting magic results. If it doesn’t fit your lifestyle or ideology the likelihood of it working long term is slim to none. These are all such important questions! A lot of times people just start a diet without doing any research. Love your tips! This is so true! Fad diets that don’t fit your lifestyle are so unsustainable! Sustainability is such a big part of the success! I like how you mentioned making sure you like some of the foods and having it fit your lifestyle! Something I do not always think about! These are all good questions to ask yourself before starting any diet plan. Everyone is totally different, so no two plans work the same for everyone. Glad you found something that is working for you. I love the asking yourself questions part. It’s so easy to dive into a new plan without fully thinking about it or researching it and that makes it hard to be set up for success. Great tips! I agree that sometimes short-term diets aren’t really sustainable, and you’ll end up just feeling bad that you weren’t able to stick with it. For me, it’s all about balance! This is great information! I’m sure many people’s New Year’s Resolution will be to lose weight. This will help guide them in the right direction. What a great set of questions to consider. I think it is essential to include actual REAL food in any plan as our bodies need it in some shape or form. Very well written…thank you! These are great tips to ask yourself when wanting to start a diet because you need to make sure you find a diet that works and will help you achieve the goals you want. These are really great details questions to starting a diet. I’m guilty for starting so many diets and not sticking with them bc I never understood them or researched thoroughly. Thanks for this it really helps. started my diet yesterday. this was a great post for me to review and ready to continue moving forward. thanks. These are all really great thought starters! I think often times we see a friend or family member lose weight and want to hop on that wagon, but it really may not be the best system for US! Making a huge lifestyle change like going on a diet doesn’t have to be stressful and miserable – and I think often choosing the wrong diet for you makes it miserable and stressful. I am a huge yo-yo dieter. I have tried everything to lose weight. I think these questions are important and they will help in the long term lifestyle changes. this is a great post! this will help so many people be so more successful! What a great list of questions! It’s inportant to know we’re in it for the right reasons and know what to expect, or else it won’t work out! It’s really important to find a diet regimen that works for you and that you can easily adjust to. These are very good questions to ask, especially if you’re not sure about what diet you’d like to follow. These are great questions to ask yourself. It’s a mind and body effect when your trying to lose weight. These are so important. Diets can be hard enough without all the baggage. Awesome advice! This is a great post! These are some very important questions to ask when you are thinking about starting a diet. This is the best time for this post. Because New Years is just around the corner and people are going to start thinking about dieting. Going on a diet is such a huge commitment. These are definitely the questions that you need to be asking. Picking a diet with foods that you are actually going to eat and like is key. So many people make that mistake!